Elderly: Hip fractures are a common occurrence in elderly people who sustain a minor fall. This is because bone density starts decreasing after the age of 25-30 and by the time most people have reached their 50s and 60s, their bones are quite brittle. Women: Women experience significant bone loss after menopause because of the dramatic changes in their hormones leaving them more prone to hip fractures. 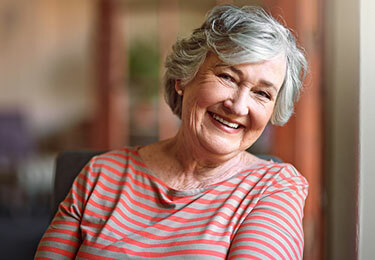 About 75% of all hip fractures occur in women. Osteoporosis: Those with this disease have bones that are extremely porous and can easily fracture with minor trauma. Medications: Those who take blood pressure medication, heart pills, diuretics, muscle relaxers, or tranquilizers have a higher risk of fracture. Alcoholics: Heavy drinking slows down reflexes, alters balance, and encourages risky behavior – all which increases your chances of falling and breaking your bones. Height: Being tall appears to increase a risk for sustaining a hip fracture. Statistics indicate that fall-related injuries are the leading cause of death in Americans above the age of 65. Less than half the people who survive a hip fracture are able to regain previous level of function. Fortunately, there are several things you can do to prevent falls and hip fractures. In addition to the above-mentioned safety tips, healthy eating and regular exercise will help keep you fit and flexible enough to get what you want out of life without compromising on your safety.